On 02 April 2017 Amsterdam hosted the annual CROP Conference which was attended by global senior industry officials and policy makers. Presentations and discussions were varied; part of the program was around (de)regulation of crop innovation in the light of finding resolutions for the growing global food shortage. On this topic, the Dutch Director General of Economic Affairs in Agriculture, Marjolijn Sonnema, promised a more open attitude towards crop innovation which has proven highly effective as well as safe in the last two decades. The other sessions in the program featured various industry experts on crop innovation in a variety of topics; from crop specific challenges like pod shattering in rapeseed to new tools like CRISPR-Cas. 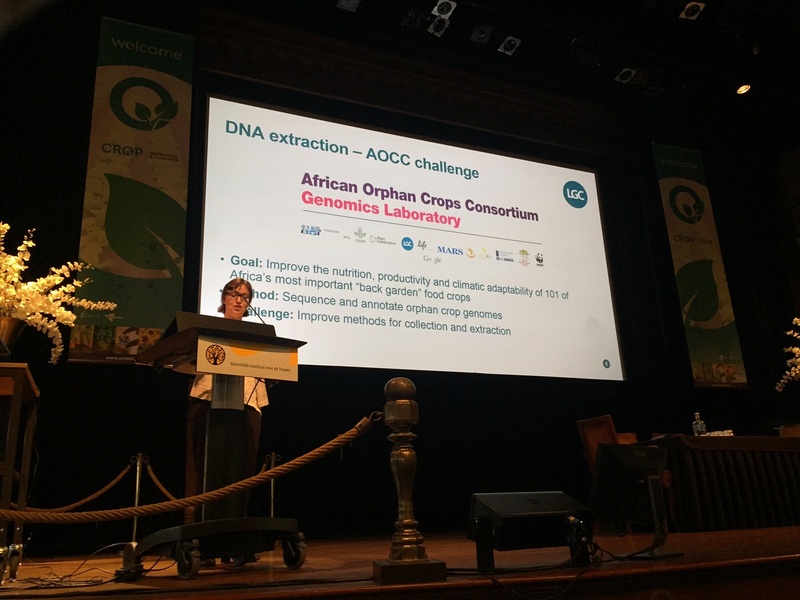 Jane’s presentation highlighted current challenges for our largest AgBio customers at various stages in their workflow including sample collection, DNA extraction, discovery, breeding and association studies. 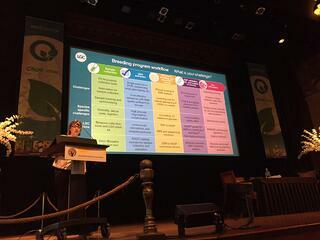 It also featured the curent challenges of SNP validation, QC, routine screening and Bio-informatics. The presentation proceeded to highlight solutions that LGC has provided for challenges our customers have experienced at theses stages in their workflow in a series of case studies. The presentation was very well received and initiated discussions with VPs from several of the largest top 10 AgBio companies about global preferred partnership agreements with LGC. The slides of this presentation are available, please click here.